When ad agency Mother New York offered a new solution to gaps in a woman’s resume from childbirth and maternity leave: the Pregnancy Pause—it seemed like it had potential. 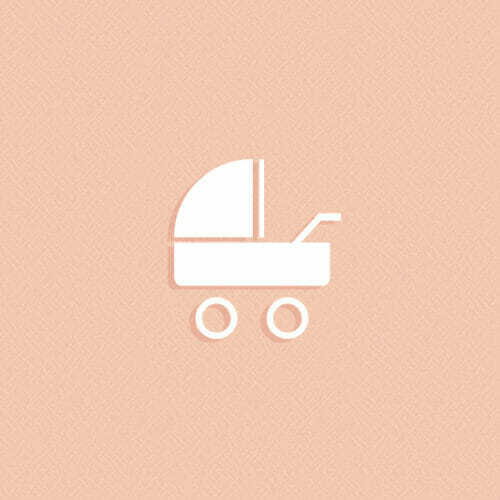 On her LinkedIn profile, during the months she is unemployed due to caring for a newborn, a woman can list her employer as “The Pregnancy Pause” and her job title as “Mom.” Intrigued by this entry, a potential employer can click on the link or call the phone number and learn about maternity leave policies in the United States. “Moms often avoid discussing the gap, which can have potential employers guessing and may cause qualified moms to be overlooked,” the website explains. First, let’s praise Mother New York’s intent: to justify the time a woman spends caring for her newborn and to change the culture of maternity leave in this country. They’re right: “Maternity leave is a full-time job.” And they’re also right in that 12 weeks of unpaid leave offered in America under the Family Medical Leave Act (FMLA) is not enough time or support for new mothers—not to mention that it’s not offered to all Americans, but only employees working full time at companies that are of a certain size. If we want to narrow the pay gap there needs to be a huge shift in company culture surrounding parental leave. Getting this conversation in the national arena is a huge coup, and Mother New York should be applauded for addressing this issue head-on. The only problem? The Pregnancy Pause is not a constructive, equitable, or plausible solution. Here’s why. The Pregnancy Pause doesn’t address diversity in American families. While it may be possible for some women to boast of the Pregnancy Pause on their LinkedIn profiles, this solution is primarily one for the privileged. A 2012 Department of Labor survey found that 1 in 4 new working mothers take just two weeks of parental leave or less—and half of those were back to work within a week! For many women, it’s a choice between taking maternity leave or being homeless, and there’s no place on their LinkedIn profiles to put a 6-to-12 month “pause” for any reason. And speaking of Pregnancy Pause, the name in itself is troublesome. 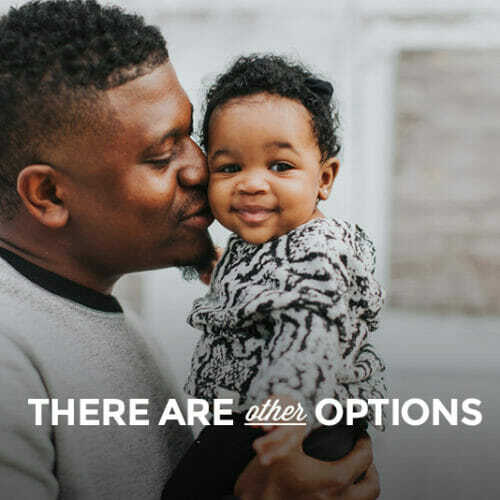 It doesn’t address paternity leave (which fathers should also receive and is part of the same issue) or alternative family arrangements like surrogacy and adoption. Initiatives to secure rights for more of the population in 2017 need to be much more inclusive than this title suggests. Finally, it’s potentially dangerous to your chances of success to put the Pregnancy Pause on your LinkedIn profile; employers might be turned off by it or see it as a “gimmick” and immediately disqualify you as a candidate. And when you’re the member of a marginalized group—women of color, LGBTQ, etc.—the last thing you need is another strike against your application. This self-limiting reason might keep the Pregnancy Pause movement restricted only to white women who feel confident enough in their next job offer to include it—or keep most women from including it at all. 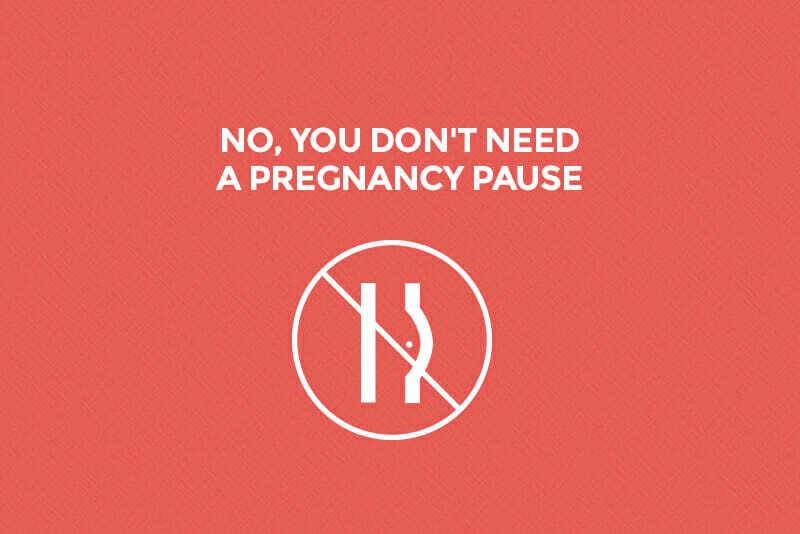 The Pregnancy Pause isn’t the only pause to consider. Maybe LinkedIn needs an option like Facebook has: “It’s complicated.” My Pregnancy Pause of a year occurred when my husband was deployed with the Navy while my daughter was five weeks old. We were stationed in South Carolina, hundreds of miles away from family, so I temporarily relocated back to Michigan to get some family support for seven months while he was gone. I was extremely fortunate to have that luxury—I know many single mothers and working families don’t—but it was still a difficult time with a lot of confounding factors. Yeah, it was “maternity leave”… but it was more than that, too. Instead of saying, “Hey! See, this was a perfectly acceptable reason I wasn’t working!”, what if we reframed the conversation? What if our culture came to view a person’s career as a series of detached, distinct stepping stones rather than a long, continuous road? Assuming you’re not in a career that requires you to maintain certification or keep up with continuing education to remain licensed—sure, I’d probably want my brain surgeon to brush up a bit before operating on me after her sabbatical—what does it matter? If you weren’t working for a year or so here or there, you probably had a good reason that’s largely irrelevant to your future with whatever company is interviewing you. Life is complicated, and creating a new human is not the only legitimate reason why there might be a pause in someone’s resume; bereavement, trauma or abuse, family leave to care for an aging parent (or, in the case of 13 million caregivers of the “sandwich generation”, a parent and a child), mental and physical health, moving, and a host of other reasons might explain time taken off from work. Particularly in a growing freelance economy, HR departments should be training their employees that gaps in employment are a natural part of someone’s life rather than a red flag to look out for. That is the conversation we should be having, instead of trying to convince employers that pregnancy is the only legitimate reason for the time missing on your resume. The Pregnancy Pause isn’t the best way to advocate for paid family leave. Notwithstanding the fact that it’s probably not the best idea to passive-aggressively lecture your future employer on their leave policies before even getting hired, the Pregnancy Pause is putting the wrong emphasis on the family leave problem. Forty-three percent of women leave work to be stay-at-home moms and devote time to their kids for the long haul, and that choice is not voluntary for a large portion of them, but the result of poor family leave policies and inflexible working arrangements. Of the women who have left work to attend to family responsibilities, 67 percent plan to return to work within five years, and three quarters would consider returning to work immediately if there were options for remote work or flex time. And the current “solution” isn’t reasonable or sustainable: Even if employers are federally mandated to offer unpaid maternity leave for up to 12 weeks, many women can’t afford it. It’s easier—with less pressure from management to “get back to work”—just to quit for a few months and then find something else. The Pregnancy Pause’s focus on legitimizing this period of unemployment sends the message, even if inadvertently, that it’s okay for women to feel like they have to quit to become parents. And it isn’t. Instead of using the Pregnancy Pause as a justification for the time that a woman is forced to spend unemployed, what if we spent our time and energy doubling down on paid parental leave so that women wouldn’t feel like they had to choose? 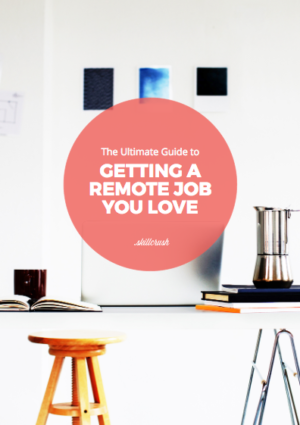 And what if we could advocate for more companies to follow the tech sector’s lead and allow remote work and flex time? This would give mothers and fathers the ability to rejoin the workday from home or on their own schedule. This isn’t an adequate replacement for paid family leave, but it’s at least a way to create a better work environment that can make new parents more productive. If we are able to shift the conversation to these two issues—paid family leave and more flexible work arrangements—women would have less reason to leave their jobs. They could pursue profitable careers and have fulfilling personal and family lives, which would result in less turnover, more workplace productivity, far fewer women returning to work before their bodies and minds even have time to recover—and no reason for the Pregnancy Pause in the first place, unless each woman chooses it because it’s what she wants. And that’s a pause I think we can all get behind. Hi, I do believe this is a great site. I stumbledupon it ;) I am going to come back once again since I book-marked it. Money and freedom is the best way to change, may you be rich and continue to help others. Great post, I believe people should learn a lot from this blog its rattling user pleasant. Haha, shouldn’t you be charging for that kind of kneeowdgl?! Thanks for revealing your ideas. I’d personally also like to state that video games have been ever evolving. Today’s technology and improvements have helped create genuine and enjoyable games. All these entertainment video games were not as sensible when the concept was first of all being experimented with. Just like other forms of technological know-how, video games as well have had to progress by many decades. This is testimony on the fast continuing development of video games. Fantastic article thank you for sharing. We are lucky to have 4 month (unpaid or paid depending on employer) here in SA, however whether you can actually survive financially (if unpaid) that long is another story! Love, love, love this article. In Canada, we’re lucky to benefit from a much more understanding public policy of paternal leave, but we are still light years from what other countries consider a basic human right, the time and space to be with your young children. Normalizing flex and remote work has to happen, not just for mothers, but everyone parenting. I like it! Why on earth do I have to explain to someone why I had an employment gap when everyone has them? Life happens people. Isn’t the person interviewing human too? Excellent article!!! Every point made complete sense. I have had a seven year pause…not for children but “It’s Complicated” The death of my first husband followed by an aneurysm …Similar to Joelene I live in a remote area. I’m in Alberta, Canada where the unemployment rate is also high. It is hard to put out any resume with big gaps. Even harder to explain those gaps when asked. Fantastic article! When I was a young mother, the only viable work options for women with small children who did not want to throw themselves back into full-time work was to do a job share where two mothers split one job and those opportunities were few and far between. Thank you for covering this topic to address the fact that our leave policies are really only available to women of a certain class. There is so much change that needs to happen. It would help if we elect more women to public office and pass better policies that help working families. some food for thought! thanks for sharing your view. 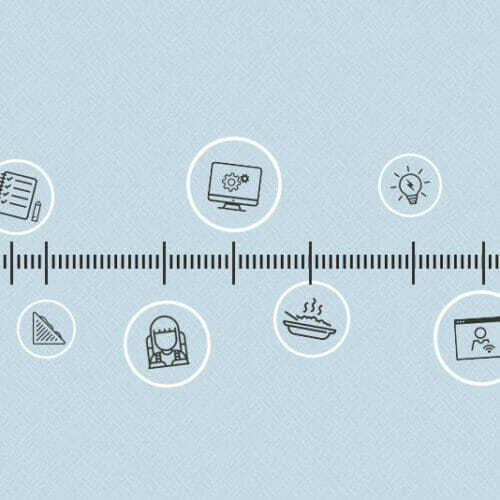 what do you suggest one does when there’s a gap in employment? I, for example, went back to work after longer maternity, but now I quit my job and am unemployed- taking tome to think, taking care of my toddler and doing Skillcrush in the meantime. . :) any tips on how we could address this ‘time’/ ‘gap’ on LinkedIn? you kind of between jobs and not ready to startup employment yet, but I don’t want for LinkedIn crowd to think that I am having a break, because I am not! Great question, Ags! I think that if you’re in a certification program like Skillcrush (and you can put the date of your certification on your LinkedIn profile) you shouldn’t have a problem at all. This is a great article! Timely for me as well! I’m just starting to get back in the job hunt game three years after having my daughter and having that gap on my resume hasn’t helped much. 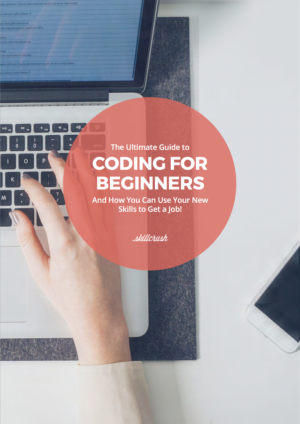 I just started attempting to teach myself how to code so that I can find a job I can do from home or on a flexible schedule. I live in a very rural area in Western North Carolina with a high unemployment and poverty rate. To find a decent paying job most folks have to commute to surrounding counties and even then good jobs are hard to come by. Add in the “pregnancy pause” and an already difficult job search becomes much harder. It wasn’t so long ago that women were expected to stay home with their kids and now we’re basically punished when we do. This is absolutely fabulous! I completely agree that this idea has sparked much-needed conversation and brought visibility to an issue that has long been ignored or swept under the rug. But I disagree with this idea of “logging a pause” as a way to speak to future career health or that it offers any major career support otherwise for American families. It’s exciting to see a shift in the conversation surrounding this issue and absolutely love your viewpoint here. Bravo, Lauren!